Mui Ne Immersed Blue Sea, White Sand, Golden Sunshine. 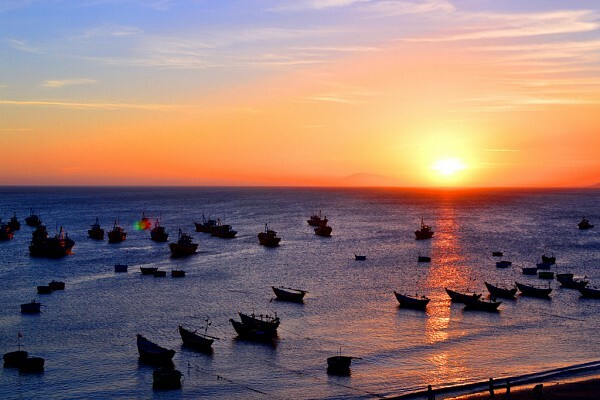 If you want to escape from the noisy, crowded, bustling cities of prosperous urban, let’s come to Mui Ne to immerse yourself in nature, where only the sun, the wind, long rows of casuarina together blue sea, white sand which make great scene here. 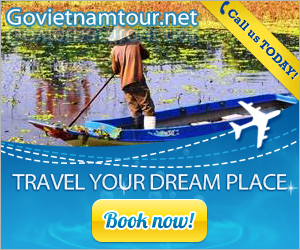 About 20km from Phan Thiet city, go north east to Mui Ne- a famous tourist beach in Vietnam. 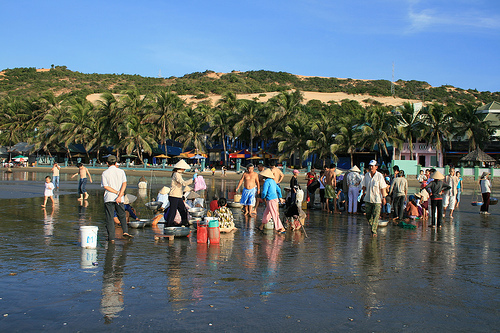 A coast with blue sea, warm sunshine all year round, it never appears storm here, and it is a peaceful place for boats, so that it probably named Mui Ne for very long time. The sea is like a painting. 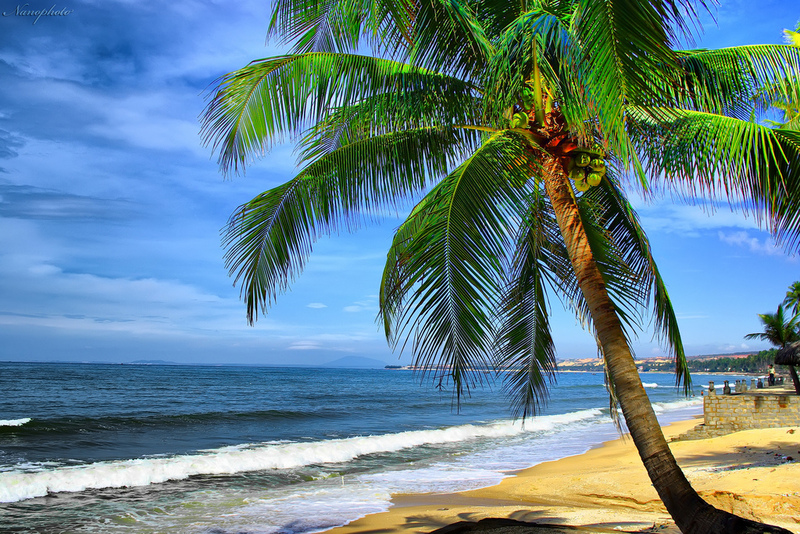 Lines of coconut trees and rows of casuarinare are grown along the coast line. Beach here is quite shallow, clean and untouched. 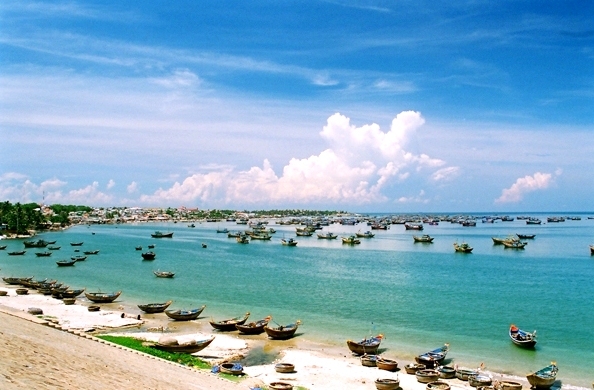 This majestic landscape and the natural clean environment is famous for Ong Dia beach, Front beach, Behind beach, etc. 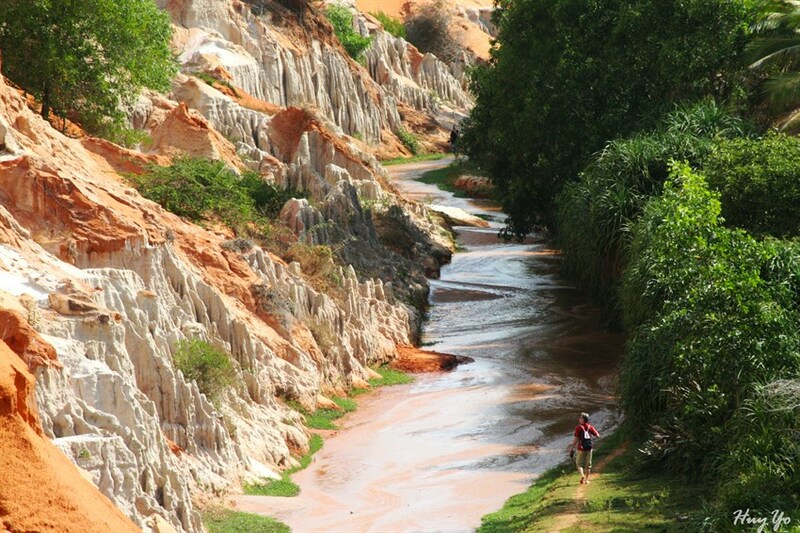 Mui Ne Beach is like a perfect picture. 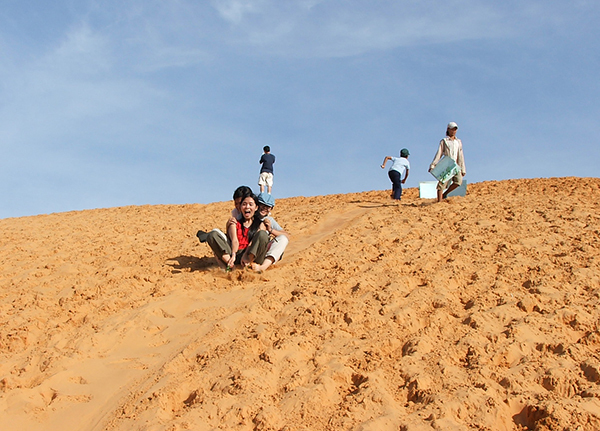 Mui Ne landscape is not only attractive with pristine and romantic beaches but also with the vast sand dunes and winding paths. 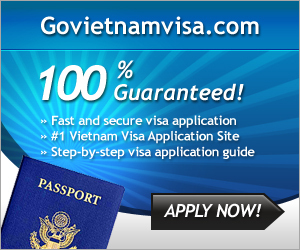 This is considered the most distinctive sand dunes in Vietnam. And do not be too surprised when standing on the vast, undulating, and golden sand dunes and sometimes realized this landscape is suddenly changed by the attacks of “sandstorms” as the cause of the interesting change about the shape of sand dunes.